Brought up in Bangalore, Suraj Kumar Jana is the mastermind behind the unique idea of turning trashcans into mini-satellites. Suraj Kumar Jana has proved the common saying “Age is an issue of mind over matter. If you don’t mind, it doesn’t matter”. At 22, while Suraj Kumar Jana was pursuing his graduation from BMS Institute of Technology and Management, one of the most offbeat idea flashed into his mind and he initiated one of India’s first Space Technology Research start-ups, ‘Open Cube Labs’ in 2014, upholding the vision of spreading awareness regarding Space Technology among the young generation through conducting various workshops and forums. Speaking about his early life, he disclosed that, having father who serves in Indian Air Force, Suraj Kumar Jana had to complete his schooling from different Kendriya Vidyalayas around the country. Since school days itself, he had the habit to keep a balance between the academics and extra-curricular activities. He used to be one of the ten top students in the school, keeping his parents content with his studies alongside he used to keep participating in different activities. “Everything depends on the passion, if you are passionate enough, you don’t need to spend the entire year reading your curriculum books. You should start taking out time for something that is different from the curriculum”, suggests Suraj Kumar Jana. It was in 11th standard when his interest for technology evoked. On this account, one of his faculties named Ashok Sen Gupta introduced him to the world of technology and encouraged for the same. Later at BMS Institute of Technology and Management, he got to access the technological facilities and arrangements which further helped him to realize his goals and aspirations. According to him, his inclination towards entrepreneurship and creating something of his own, started during the year 2007, when social networking sites were not much prominent. That was the time, when he along with some other friends initiated one of India’s first student communication platforms where all the students of Kendriya Vidyalaya got to communicate and chat with each other. After completing his 12th, he decided to pursue Bachelors in Computer Science considering his interest in technology. Therefore, despite getting to crack IIT and NIT in other branches; he stood still to pursue Computer Science and took admission into BMS Institute of Technology, Bangalore. Suraj along with a friend in the year 2014 participated in and won the NASA International Space Challenge .At that instant, receiving some amount of grants, they just planned to invest the money in building an organization which would be able to reach and helpful to people around the country. Herein, Suraj came up with Opencube labs where he converted Red bull, coke and beer cans into mini-satellites to create an open-source database on several city parameters, including temperature and pollution levels. “One fine day when I was talking to a friend from Manchester, he was discussing about a project related to satellite made out of cans on which his seniors were working on, I got fascinated and thought if in India we can create such low-priced mini-satellites, that might give the students the feel of the technologies happening around the world”. 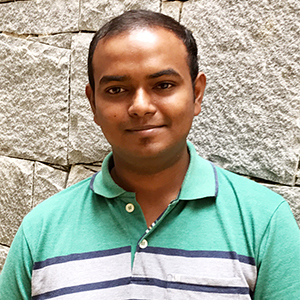 Suraj till now have founded and co-founded four startups including Opencube Labs and is working ardently on launching and executing more ideas. In the midst of his every venture, the most spectacular thing is his concern regarding the mankind. He usually works on stuff which is directly or indirectly created to help or simplify things for others. “Presently we are working on bringing up some products associated with environment monitoring system where one would be familiar with the existing environmental issues and what kind of precautions one should take”, mentions Suraj Kumar Jana. Moreover, in Opencube labs, the team of five people carries out the project called CanSat Development, where they conducts two days workshop in schools and colleges providing training on how to conduct small scale space missions. Regardless to say, every success story holds a long list of failure stories as well. Likewise, Suraj also had his share of failures. Before starting Opencube labs he started a company related to art and craft in 2010 but it failed and could not make its place in the industry. 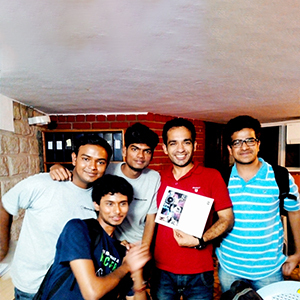 And in the end of 2014,when Open cube labs was only 6 months old, the team went to conduct a workshop in IIT Mandi where they met with an accident and eventually lost all the hardwares and had to face a great loss. During that period, Suraj was the person who was running the company singlehandedly, without losing his patience and hope. He thus recovered the loss in a short period of time and started everything afresh. However, advising the youngsters, Suraj says, “You should learn to accept your mistakes after every failure and work hard for improving yourself inspite of blaming others”.